168 pages. 275x215mm. Printed on gloss art paper, casebound with printed board covers. In his eleventh exploration of Britain’s industrial history, the author has focused on two giants whose names may not be well known. Both were innovators in their respective trades; from very humble beginnings working as a boy in a Lancashire coal mine Joel Settle rose to be a dominating figure in the north Staffordshire coal industry, his innovations changing its face forever. Alfred Baldwin came from a family of Black Country ironmasters to rescue an ailing family ironfoundry from dereliction as a stepping stone to the founding of one of the largest and best known iron and steel manufacturers in the country – in addition his only child became Prime Minister of this country. 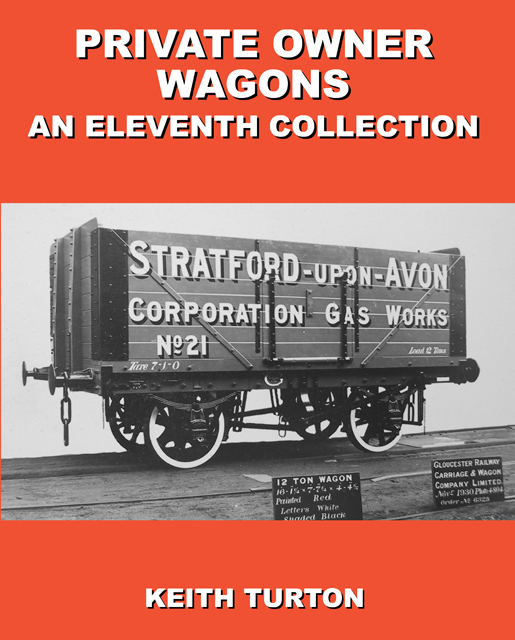 Also included is a world heritage site in the Blaenavon Ironworks; an oddity from the Gloucester works designed to transport brine from a mineral spring to a world-renowned hotel; and a very familiar name which once adorned petrol pumps throughout the country. Few of these images have been seen before. 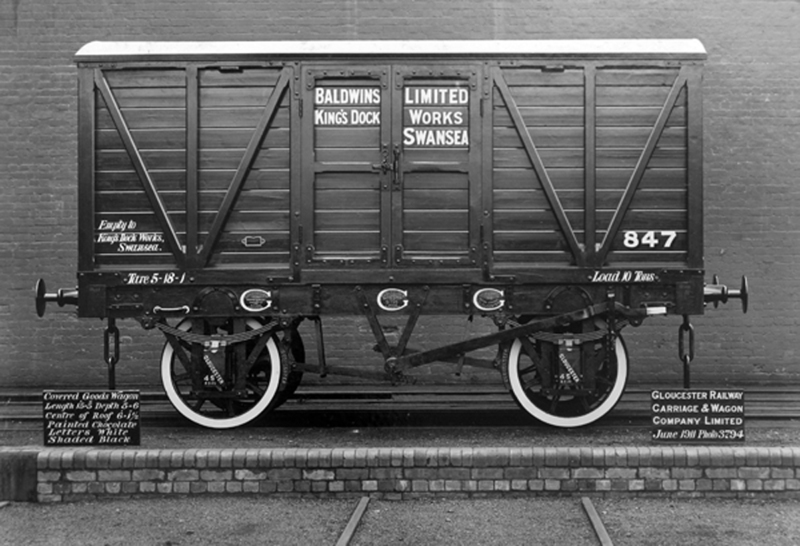 A van built for Baldwins, that it is numbered 847 shows that there were more built than the six seen on the previous page and is highly suggestive that the previous order mentioned in the last caption was also for vans which may have been numbered 847 to 849. Number 847 was photographed in June 1911. GRC&WCo. The Gloucester RC&WCo. 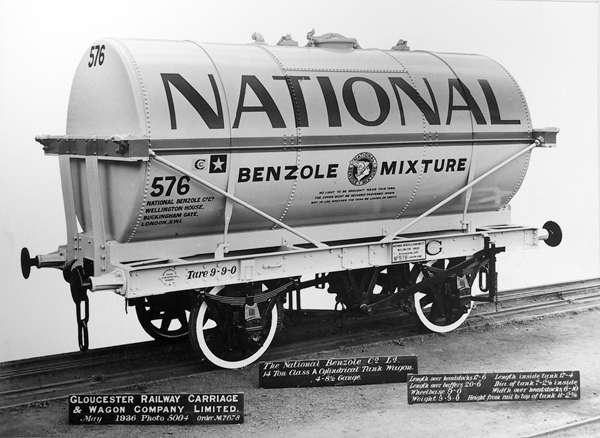 contracted to build thirty-six tank wagons for National Benzole which, according to the LMS Wagon Registers were numbered 550 to 585. The Gloucester company, so meticulous in most ways, never revealed the livery of its tank wagons and unusually have not highlighted the detail on the builder’s plate but the solebar and end stanchions appear to be the same colour as the tank body. No record was kept of the lettering, which appears to be black below the horizontal stripe and possibly a dark blue above. GRC&WCo.